Hae sanalla tai sanan osalla yhtä tai useampaa sanaa. PARADISE24 is a research-based general tool for assessing the intensity and scope of common psychosocial difficulties. Pitkänen, T., Levola, J., de la Fuente, J. & Cabello, M. (2018). Identifying psychosocial difficulties of inpatients with substance use disorders: evaluation of the usefulness of the PARADISE24 for clinical practise. Disability and Rehabilitation. Published online 5.9.2018.
de la Fuente, J., Cabello, M., Levola, J., Caballero FF., Ayuso-Mateos, JL. & Pitkänen, T (2018). Validity of the PARADISE24 questionnaire in people with substance use disorders: A measure to assess psychosocial difficulties. Drug and Alcohol Dependence 187:66-71. Heinonen, M & Pitkänen, T. (2017). Substance use and psychosocial functioning of patients in opioid substitution treatment. In Finnish. Tietopuu Tutkimussarja 3/2017: 1-16. Summary in English page 16. Twomey, C., Cieza, A. & Baldwin, D.S. (2017). Utility of functioning in predicting costs of care for patients with mood and anxiety disorders: a prospective cohort study. Int Clin Psychopharmacol. Schiavolin, S., Raggi, A., Quintas, R., Cerniauskaite, M., Giovannetti, A. M., Covelli, V., Romito, L., Elia, A. E., Carella, F., Soliveri, P. & Leonardi, M. (2017): Psychosocial difficulties in patients with Parkinson’s disease. International Journal of Rehabilitation Research 40 (2): 112–118. Quintas, R., Cerniauskaite, M., Giovannetti, A. M., Schiavolin, S., Raggi, A., Covelli, V., Villani, F., Didato, G., Deleo, F., Franceschetti, S., Binelli, S., Canafoglia, L., Casazza, M. & Leonardi, M. (2016): PARADISE 24 instrument: An observational study on psychosocial difficulties, quality of life, and disability levels in patients with epilepsy. Epilepsy and Behavior. Vol. 64(A): 160–165. Raggi, A., Covelli, V., Schiavolin, S., Giovannetti, A. M., Cerniauskaite, M., Quintas, R., Leonardi, M., Sabariego, C., Grazzi, L.& D’Amico, D. (2016): Psychosocial difficulties in patients with episodic migraine: a cross-sectional study, Neurological Sciences: Official Journal of the Italian Neurological Society and of the Italian Society of Clinical Neurophysiology 37 (12): 1979-1986. Giovannetti, A.M., Schiavolin, S., Raggi, A., Quintas, R., Cerniauskaite, M., Confalonieri, P., Mantegazza, R., Torri Clerici, V., Antozzi, C., Brenna, G. & Leonardi, M. (2016): Psychosocial difficulties of individuals with multiple sclerosis. International Journal of Rehabilitation Research 39 (4): 339-345. Cieza A, Anczewska M, Ayuso-Mateos, JL, Baker M, Bickenbach J, Chatterji S, Hartley S, Leonardi M, Pitkänen T, and the PARADISE Consortium (2015) Understanding the impact of brain disorders: towards a ‘horizontal epidemiology’ of psychosocial difficulties and their determinants. PloS ONE. Cieza A, Sabariego C, Anczewska, M, Ballert C, Bickenbach J, Cabello M, Giovannetti A, Kaskela T, Leonardi M, Mellor B, Pitkänen T, Raggi A, Świtaj P, Chatterji S and the PARADISE Consortium (2015). PARADISE 24: a measure to assess the impact of brain disorders on people’s lives based on the hypothesis of ‘horizontal epidemiology’. PloS ONE. 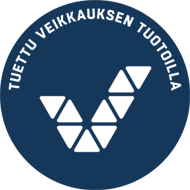 Pitkänen T, Levola J, Tourunen J, Kaskela T, Holopainen A (2016). Common psychosocial difficulties among brain disorders: the research bases for PARADISE24 questionnaire. In Finnish. Report series of The Social Insurance Institution of Finland, 143: Abstract and Summary (p.142-146) in English. The selection of the 24 questions concerning common psychosocial difficulties was made in the EU-funded project Psychosocial Factors Relevant to Brain Disorders in Europe (PARADISE) led by Dr. Alarcos Cieza in 2010 - 2013. Systematic literature reviews, focus groups and personal interviews were conducted for nine disorders. The project covered dementia, depression, epilepsy, migraines, multiple sclerosis, Parkinson’s disease, schizophrenia, stroke, and substance dependency. Psychosocial difficulties were classified and linked to the International Classification of Functioning, Disability and Health (ICF). The aim was to identify common psychosocial difficulties and to create a general instrument that can be used in the treatment and study of several disorders. Kamenov, K, Cabello, M, Caballeri, FF, Cieza, A, Sabariego, C, Anczewska, M, Pitkänen, T, Raggi, A, Ayuso-Mateos, JL. (2016) Factors related to social support in neurological and mental disorders. PLoS ONE. Coenen M, Cabello M, Umlauf S, Ayuso-Mateos JL, Anczewska M, Tourunen J, Leonardi M, Cieza A & PARADISE Consortium (2016): Psychosocial difficulties from the perspective of persons with neuropsychiatric disorders, Disability and Rehabilitation, 38(12):1134-45. Sabariego, C., Coenen, M., Ballert, C., Cabello, M., Leonardi, M., Anczewska, M., Pitkänen, T., Raggi, A., Mellor, B., Covelli, V., Świtaj, P., Levola, J., Schiavolin, S., Chrostek, A., Bickenbach, J., Chatterji, S., Cieza, A. (2015) Determinants of psychosocial difficulties experienced by persons with brain disorders: towards a ‘horizontal epidemiology’ approach. PloS ONE. Hartley, S, McArthur, M, Coenen, M, Cabello, M, Covelli, V, Roszczynska-Michta, J, Pitkänen, T Bickenbach; J. & Cieza, A. (2014). Narratives reflecting the lived experiences of people with brain disorders: common psychosocial difficulties and determinants. PloS ONE. Levola, J., Aalto, M., Holopainen, A., Cieza, A. & Pitkänen, T. (2014). Health-related quality of life in alcohol dependence: A systematic literature review with a specific focus on the role of depression and other psychopathology. Nordic Journal of Psychiatry 2014:68(6): 369–384. Levola, J., Holopainen, A., Kaskela, T., Sabariego, C., Tourunen, J., Cieza, A. & Pitkänen, T. (2014). Psychosocial difficulties in alcohol dependence: a systematic review of activity limitations and participation restrictions. Disability and Rehabilitation 2014;36(15):1227-39. Cabello, M., Mellor-Marsa, B., Sabariego, C., Cieza, A., Bickenbach, J..and Ayuso-Mateos, J.L. (2012). Psychosocial features of depression: a systematic literature review. J Affect Disord 141(1): 22-33. Quintas, R., Raggi, A., Giovannetti,A.M., Pagani, M., Sabariego, C., Cieza, A. and Leonardi, M. (2012). Psychosocial difficulties in people with epilepsy: a systematic review of literature from 2005 until 2010. Epilepsy Behav 25(1): 60-67. Raggi, A., Giovannetti, A.M., Quintas, R., D'Amico, D., Cieza, A., Sabariego, C., Bickenbach, J.E. and Leonardi, M. (2012). A systematic review of the psychosocial difficulties relevant to patients with migraine. J Headache Pain . Switaj, P., Anczewska, M., Chrostek, A., Sabariego, C., Cieza, A., Bickenbach, J. and Chatterji, S. (2012). Disability and schizophrenia: a systematic review of experienced psychosocial difficulties. BMC Psychiatry.